Traditional wisdom acknowledges that every physical thing has a spiritual origin. Because of how imposing the physical world is to our consciousness, it is hard for us to observe the spiritual essence behind it, but traditional cultures have understood how to interact with this spiritual essence for over 100,000 years. It is only in the last several hundred years that humanity has come to question this knowledge. The problems we are facing are not mysterious. We only need to be taught to read the energies that are affecting us and also what we can do to alter those energies. Often energetic blockages are the reasons why we sense obstacles between us and our goal. There can be many reasons for these blockages. Within our homes, our environments can attract energies that bring us negativity. Negative feelings we have, such as anger, intolerance, depression, lack of motivation and despair can really be fueled by negative energies in our environments. Our own negative reactions add to the negative energies in our environment. If not addressed, this can become a cycle spiraling out of control and leading to the destruction of our homes. The result, as we often see, can be arguments and violence between people in the home, the break up of a couple or a whole family, and even murder and suicide. Within the professional field of spirituality, there are many techniques of spiritual purification or cleansing that can chase away negativity, which is understood to be spiritual dirtiness. It is recommended that everyone learn techniques to purify themselves spiritually; however, there are times our homes and other belongings also have to be purified. It’s the same reason we have to clean our homes. The same way dust and other waste accuome, spiritual impurities also accumulate in our homes without occasional spiritual purification. In the spirit of spring cleaning, let’s make sure to take some time to do a spiritual cleansing of our homes. There are purifications which anyone can do using incense. 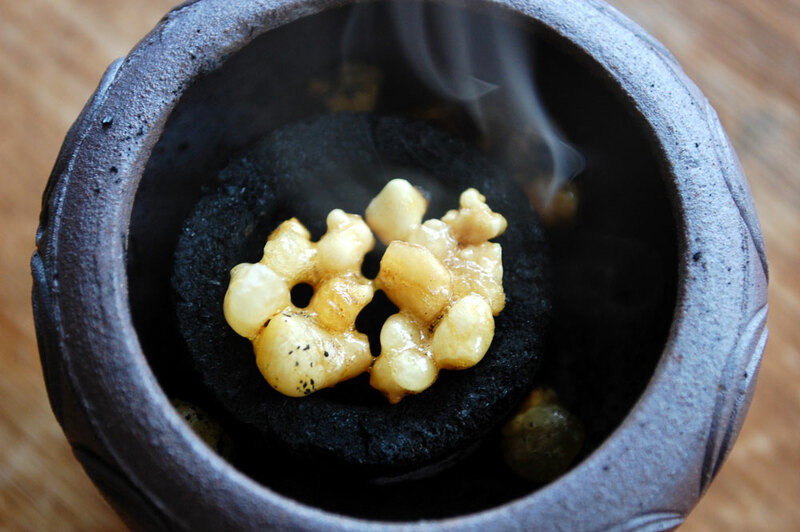 Two popular and effective forms of incense are frankincense and white sage. It is recommended that you use them in their pure form as other ingredients added to incense sticks and cones, etc. will likely weaken or counteract the purification. White sage used for purification is typically sold in bundles of dried leaves on their stems (these bundles are usually tied together with a string which you should remove before burning). Typically people will light the whole bundle, but if you don’t want to produce as much smoke, you can take off several leaves or a stem with many leaves attached. Hold a flame to the sage leaves and they will catch fire easily. Let the fire burn 5-10 seconds and then blow it out. The leaves and stems will burn and produce a lot of smoke. You will not need a burner but you may want a dish to catch ashes and possibly burning leaves falling from your bundle and also to have the option to put it down if need be. With both frankincense and white sage, the smoke is what you are using to purify the object or space. Simply cover the space or object with the smoke of the incense. Pay special attention to get the smoke into corners, crevices and the like. 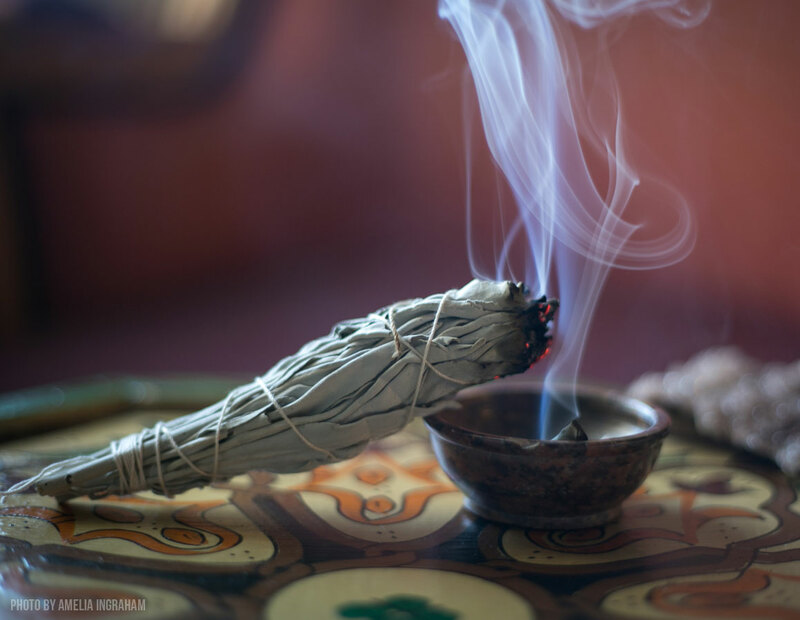 Fill the entire space with smoke to cleanse/chase away negative energies. Use your hand to fan the smoke in the desired direction if need be. If you know how to do ablution (spiritual purification), it helps to do it beforehand. Being pure within yourself will help repel the negativity. This means you should also make an effort to clear your mind of any negative thoughts and concentrate on the cleanliness you are working to achieve in your space. You can also use your incense to cover your own body with smoke to help bring yourself to some level of purity. This is a novice-level purification that can be helpful but not a solution for every problem one can face. Traditional priests and healers, such as those available through the Earth Center and Ankhkasta Natural Healing, can often provide more insight into a specific situation and supply stronger remedies to address the problem if necessary. Call The Earth Center’s US headquarters for inquiries at 773-942-7184. Spiritual purification is a vital activity to help us balance the energies affecting our lives. Since every material thing has its spiritual origin, our very own well being and the well being of our environments depend on our efforts to keep ourselves and our environments clean. Take some time to clean your home and refresh the energies of your sanctuary.